Aaron Frederick crafted this Liner Lock. 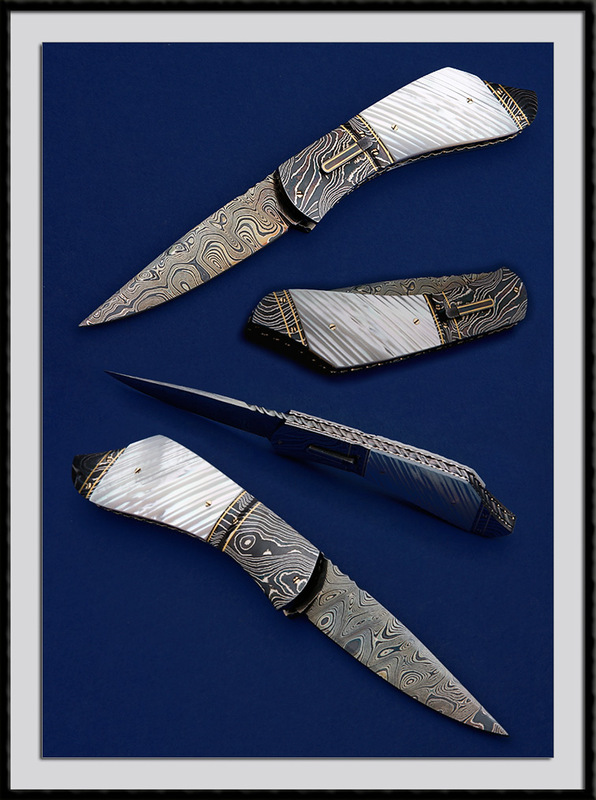 Blued Damascus blade steel, BL = 3 1/4", CL = 4 3/4", OAL = 8 1/8", fluted Damascus Bolsters with gold inlays, file-worked Ti liners, file-work Damascus Back-spacer and fluted MOP scales accented with Gold screws. Fit and Finish are Top shelf. Operation and lock-up are very good, Condition is Mint.